Harmony Suites 11 is part of the largest Harmony Suites project, consisting of 5 complexes. A great advantage of the complex is the park, which our company will equip for its residents and children. Harmony Suites 10 is a gated complex of apartments located in close proximity to the sea, pine forests and mountains. Harmony Suites 8,9: Gorgeous and cozy complex is located in a picturesque area of Sunny Beach resort, near the Pine Grove Park Harmony. The refined elegance of Harmony Suites 3 would impress anyone who sees this residential complex for the first time. 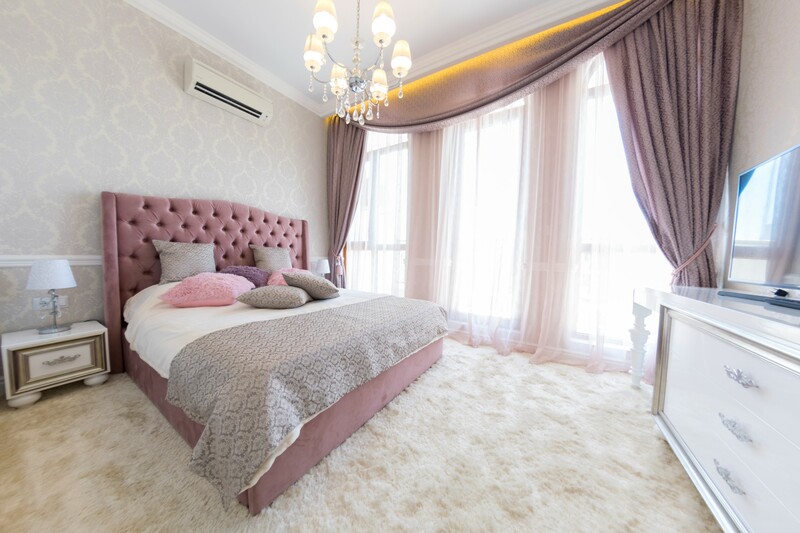 A special feature of the complex Harmony Suites 2 is its architecture, executed in classic style and soft pastel colors. Harmony Suites 1 - one of the advantages of this complex is huge, landscaped green area, which is within walking distance. 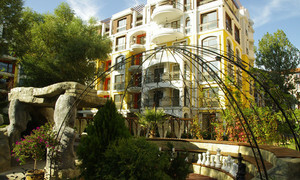 Harmony Palace is a real masterpiece and bijou of Sunny Beach. The complex has a magnificent interior and exterior. Luxury apartments in residential complexes Harmony Suites. It can be noticed that many foreign citizens display a consistently high interest in Bulgaria. This country is very popular among beach lovers and ski resorts fans. Accordingly, the number of people interested to buy a seaside property in Bulgaria is increasing, as many people are attracted mainly by the affordable prices and hospitality of the country as a whole. To buy a seaside property in Bulgaria - it is an opportunity to buy an excellent residential property in a European country with a wonderful warm climate, ideal for the elderly and children. 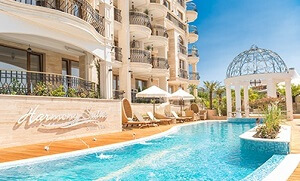 You are getting excited about properties in Bulgaria, but you would like to get information about the price of seaside properties in Bulgaria? 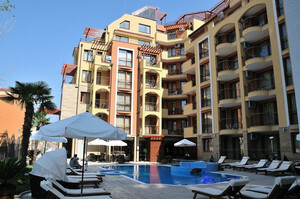 We offer the most worthwhile option - to buy a property in Bulgaria from a real estate developer.